PHILADELPHIA (Aug. 3, 2017) – The Philadelphia Music Alliance (PMA) today announced that Jill Scott, Sister Sledge, Labelle (Patti LaBelle, Sarah Dash, Nona Hendryx), McFadden & Whitehead, Sister Rosetta Tharpe, The Soul Survivors, Chris Schwartz and Joe Nicolo(Ruffhouse Records), and WOGL air personality BobPantano will be added to the Philadelphia Music Walk of Fame as members of its Class of 2017. They will be formally inducted together October 4, 2017 during afternoon ceremonies along the Avenue of the Arts, and celebrated that evening with a special grand gala event at the Fillmore Philadelphia. “The 2017 honorees represent powerhouse vocals, signature anthems, soulful vibes, and production firsts within the R&B, pop and rock genres, with an emphasis on powerful and decorated women in music,” said PMA vice chair Mia Tinari, in making the announcement. "Our inductees, this year, span the decades, through the power of soul, from the 1930s to the present.”added PMA Board Chairman Alan Rubens. 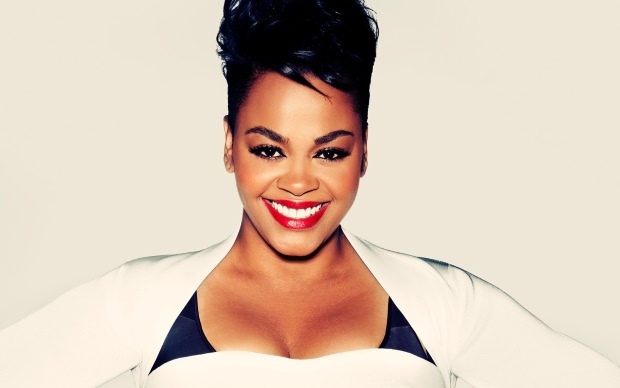 Jill Scott is a three-time Grammy Award-winning singer-songwriter, New York Times best-selling poet, and critically acclaimed actress. The platinum-selling triple threat began her career collaborating in the late ‘90s with Philly musical icons The Roots and Will Smith, as well as Common, and has garnered #1 albums that include The Light In The Sun and her most recent release, WOMAN. Sister Sledge formed in 1971 as a Philadelphia vocal group among siblings Kathy, Kim, Debbie, and Joni Sledge as symbols of strong family values, and achieved international superstardom at the height of the disco era with their 1979 breakthrough album, “We Are Family,” and its No. 1 smash title track, the Grammy-nominated anthem of togetherness written and produced by Nile Rodgers and Bernard Edwards of the disco group Chic. Though the group scored several other hits into the next decade, the prevailing strength of We Are Family has enabled the sisters to perform for President Clinton to Pope Francis, while continuing to flourish on top stages around the world. Labelle (Patti LaBelle, Sarah Dash, Nona Hendryx) formed as a funk-rock female vocal group in 1971 following the departure of Cindy Birdsong from the original group, Patti LaBelle and the Bluebelles, to join the Supremes. Adding glam-rock to their unique mix in the mid-‘70s, Labelle’s enduring proto-disco anthem“Lady Marmalade” propelled them to become the first contemporary pop group and first black group to perform at the Metropolitan Opera House and the first black vocal group on the cover of Rolling Stone. Sister Rosetta Tharpe, is considered “The Godmother of Rock and Roll," for her highly significant role in the creation of rock as a guitar-playing gospel star from the 1930s to the ‘60s, with Elvis Presley, Jerry Lee Lewis, Johnny Cash, Little Richard and Chuck Berry citing her as an inspiration. The Soul Survivors (Richie Ingui, Charlie Ingui and Kenny Jeremiah) were formed as a vocal group in New York, but they adopted Philadelphia as their home in 1967, when “Expressway to Your Heart,” currently marking its 50th anniversary, became the first “Sound of Philadelphia” hit for its legendary architects, Kenny Gamble & Leon Huff. Bob Pantano is the host of the Saturday Night Dance Party on 98.1 WOGL, the first and longest running radio dance party in the nation, now celebrating 40 years. Its top-rated, generation-spanning success has earned the South Philly native the moniker, “Mr. Saturday Night,” as he continues to enthrall and entertain Delaware Valley audiences every weekend on his pioneering live broadcast. In addition, the PMA is honoring Anne Ewers with the Platinum Award for Outstanding Contribution to the Philadelphia Music Community. The Platinum Award is given to an individual, organization or company that has been a leader and champion in supporting the music making community in a significant way. As president & CEO of Kimmel Center, Ms. Ewers oversees operations of the Kimmel Center and the Merriam Theatre and manages the Academy of Music and launched the city-wide Philadelphia International Festival of the Arts, drawing over 1 million attendees and driving $100 million into the region’s economy. The announcements were made during a press reception hosted by the Independence Visitor Center and Live Nation – two of this year’s major sponsors. The Philadelphia Music Alliance Walk of Fame, recently proclaimed an official landmark by Philadelphia City Council, is a living tribute to Philadelphia’s rich music history and a vital force unifying the city’s diverse cultural communities along the Avenue of the Arts, with a renewed commitment to shed new light on the City's cultural legacy and incredible contribution to the world of music past, present and future as a major tourist attraction. This agenda to recognize more local music greats in all genres is part of the community based, non-profit organization's overall mission to encourage the creation, celebration and historical preservation of Philadelphia music, and the foundation of a renewed commitment to schedule induction ceremonies each year.